Soon after the OnePlus 6 launched, hype for the next model immediately started to build. OnePlus has made it a habit of releasing a powerful flagship only to release an even better device just a few months later. The OnePlus 6 has been out for about five months now, which means it’s time for the OnePlus 6T to shine. The new device from OnePlus feels like a pretty big leap over the previous model. The OnePlus 6T introduces a highly refined design and the kind of subtle improvements you’d expect with more months of development. For example, the notch has been shrunk down (so has the chin) while the fingerprint sensor no longer sits on the rear of the device. So, where is it? As OnePlus previously confirmed, the OnePlus 6T features a fingerprint sensor that sits beneath the display. Simply place your fingerprint on the device’s screen and your phone will unlock. If you look closely, you’ll see that OnePlus’ screen unlock function features a helpful visual reminder of where to place your finger. The smaller notch and the lack of a fingerprint sensor on the back give the OnePlus 6T a sleeker look—which is an impressive feat, considering how great the previous model looked. The changes make the two devices look years apart, not just a few months. If I were a OnePlus 6 owner, I’d be a little peeved that a markedly better device has been released so quickly. There are a few other differences to take note of. The camera again features a 16MP + 20MP setup, but there are a few notable software additions. The new camera was designed with a new feature called Studio Lighting, providing users with results that look as though they’ve been shot with professional lighting conditions. The OnePlus 6T’s camera is also introducing a Nightscape feature that promises to take improved photos in low light. 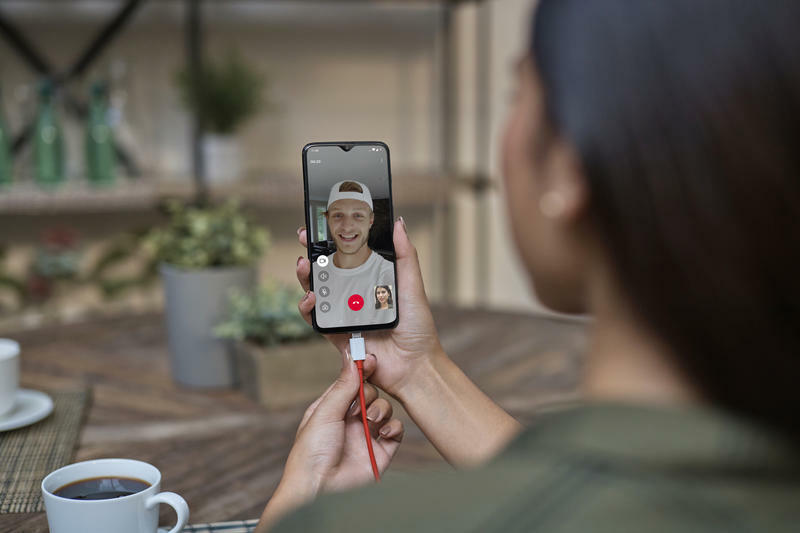 OnePlus said the device will take multiple frames and combine them into the best shot possible—and the feature should take photos in just a few seconds, rather than needing to sit there for several seconds waiting for the camera to process. The feature is also coming to the OnePlus 6T soon. OnePlus is also introducing the device with Android Pie and some new software tricks up its sleeve. A few weeks back, the company teased the OnePlus 6T would feature a more elegant UI as well as performance and stability improvements. The company is also revamping gesture navigation to make using the OnePlus 6T easier. 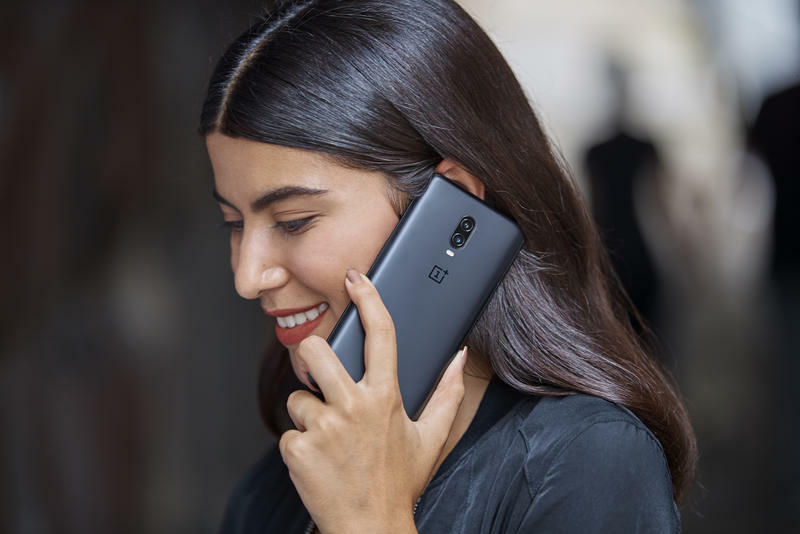 On the inside, the OnePlus 6T features a Snapdragon 845 chip, 6GB or 8GB of RAM, 128GB or 256GB of internal storage, and a 3,700mAh battery (up from 3,300mAh). For some inexplicable reason, the OnePlus 6T does not support wireless charging, just like the OnePlus 6. Instead, the company is pushing its fast charge technology as a superior alternative. The device also features a 6.4-inch display (2,340 x 1,080). When the OnePlus 6T launches for $549 on November 1, consumers will be able to purchase it through OnePlus, and for the first time ever, they’ll be able to find one through a U.S. carrier. OnePlus said it partnered with T-Mobile to make the device more accessible in the U.S., which is a big deal, because it makes OnePlus more visible among consumers who might normally opt for Apple or Samsung. The device will also work on Verizon, OnePlus said. If you want the most powerful version of the OnePlus 6T (8GB of RAM and 256GB of storage), that will set you back $629. OnePlus devices have lived off great marketing and a growing community. With T-Mobile now supporting the company, can the OnePlus 6T be the device that finally pushes OnePlus mainstream? That remains to be seen.